256 acres on the south-east to Thomas Bigge, son of Isobel. The interesting old document relating to the awards, written in Old English script on three sheets of parchment, each measuring 34" by 24", is in remarkably good condition despite its age. It is the trust deed of conveyance of the Glebe land to the vicar, James Carmichael and his successors, decided by four arbitrators, William Aynsley, John Ward, William Sanderson and John Carr, with the assistance of two surveyors. The participants in the award "could not see clearly and truly" why the vicar should share in this division but they did eventually condescend to grant him a small parcel of ground, 13 acres lying next to the "Great Wall", thereafter called the Glebe land. The arbitrators ordered that the three participants had at all times thereafter the liberty to bleach and dry their clothes on the east part of the Glebe land, a place used for that purpose by the tenants of Heddon. No order was made as to quarries, there being sufficient on each party's allotment for the building of homes, walls etc. The wells and watering places for cattle remained in common use; and highways and foot-ways in ancient use were to be maintained. The Manor Mill and Miller's House which belonged to all three participants were left undivided, the rents to be divided in proportion. 12 acres of land was set aside to continue in common use, undivided for the use of villagers, in lieu of several stints [the proportion of a man's cattle which he can keep upon the common] adjoining the Mill. 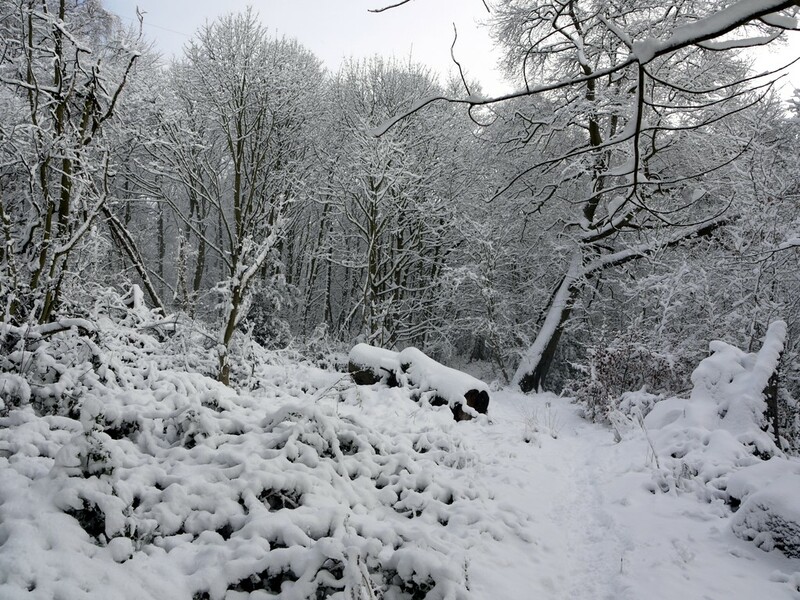 Tennants of the lands of Heddon retained the liberty to come to the Mill Dams with their cattle in a storm to fetch their water as was their usual practice. 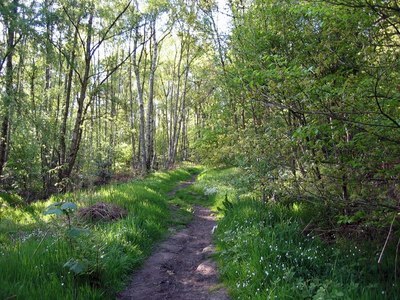 Most of the site of Heddon Common was deleted from the Commons Register in 1977 apart from the north-east part (owned by Mr A Watson of Heddon Banks Farm) which remains registered as Common Land with Heddon-on-the-Wall Parish Council (on behalf of the inhabitants of the Township of Heddon). St Andrew's Church retains the right to get freestone from this area for the purpose of maintenance and repair of fences, walls and buildings, including the church and churchyard of St Andrews. Much of the Common was acquired by Castle Morpeth Borough Council in 1992 who purchased it from RND Transport Ltd.. A management plan, based on the Nature Conservancy Council's 'Site Management Plans for Nature Conservation' was drawn up by the Northumberland Wildlife Trust and Castle Morpeth Borough Council in 1996 to cover the years 1997-2002. The age and type of tree cover on the Common today indicates that large parts of the site were clear-felled some years ago, possibly between the Wars and during the 1960s. 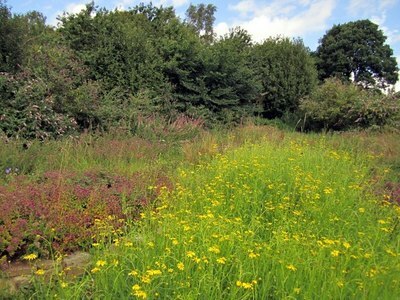 Slack's Plantation, owned by Mr A Watson) was formerly managed as a nature reserve until 1991. Heddon Common and Slack's Plantation cover approximately 11 hectares of land immediately to the west of the village. Since the Second World War the countryside of Britain and its people have rapidly changed. By 1965 it was apparent that an attempt would have to be made to sort out and register for all time the mass of customary rights on what we call Common Land. Otherwise with changes in land use and movements of population, many of these rights would be lost. 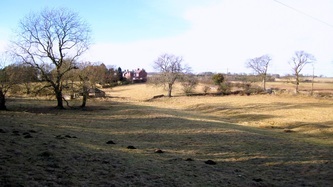 Waste land of a manor which has been unfenced and uncultivated within living memory excluding land claimed by the County Council as roadside waste. Privately owned land on which other people had common rights to take something from the land. 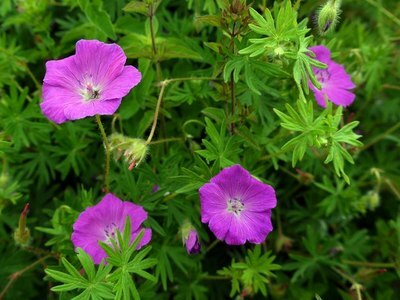 Unfortunately, land ceases to be manorial waste if the Lord of the manor sells it to another even if the state of the land remains unchanged. Village Greens are lands open to the public for recreational use under a legal agreement or land on which local inhabitants have had a customary right to indulge in lawful organised sports or pastimes including traditional ceremonies for a least 20 years. This means that many village greens are legally commons and vice versa. In Heddon, the Parish Council registered as Common or Village Green all those areas which the inhabitants thought to be common land, excluding those areas which now form parts of gardens or where buildings like the Women's Institute now stand. The vicar and churchwardens of St Andrew's registered their right to remove stone from the whole of Heddon Common for the repair of the church and other buildings and walls owned by the church. Some of the land registered was claimed as roadside verge and the registration of the wooded verges of Green Lonnen was cancelled. Other land near Heddon Mill and along back Lonnen was withdrawn because the areas had ceased to exist as a result of opencast mining and the construction of the new bypass. The long strip of land running on the south side of the Military Road from the new bypass to Rudchester was accepted as Common Land. Likewise the Old Village Green between the Reading Institute and the new library and the adjacent footpaths including Chare Bank. The new church yard and the land running round the church to the old school was also accepted as common. Also the small triangular piece of land near Heddon Station on which Heddon's famous champion Quoits team played. Finally the large triangular piece of land beside the River Tyne, upstream of the Tidestone and locally known as ' The Liberty of Heddon', was accepted as Village Green. This was where the village sports which accompanied the Ascension Day Tide Stone or Kissing Stone ceremony were held. This land was recently ploughed. It is also known as 'Rough Haugh'. All these registrations were undisputed. The registration of the Tyne river bank in front of Close House was disputed by the University. Heddon lost because a customary right to use land as a village green cannot be used by the inhabitants of more than one locality except when a village team is playing a game against a team from another village! Unfortunately, the people of Wylam and many other parishes along the Tyne have habitually used the Close House river bank. This leaves Heddon Common. The status of this land as Common is disputed by one of the two owners. The Church of St Andrew's strongly supported by the Parish Council will have to fight out this dispute before a Commons Commissioner. Carvings were done by local adults and schoolchildren. 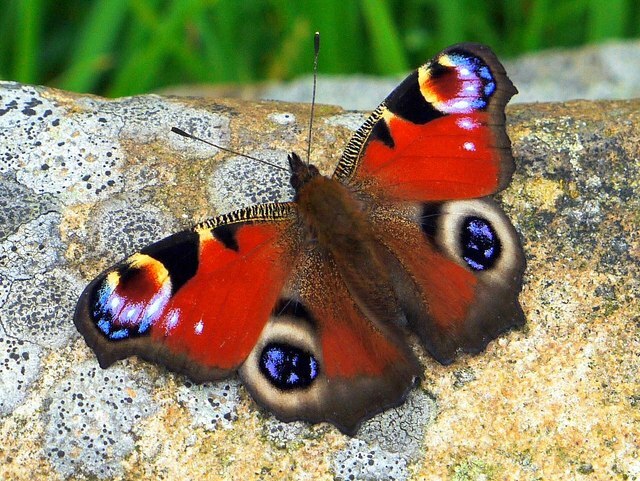 In 2000, part of Heddon Common was made into a Butterfly Haven as a community project. 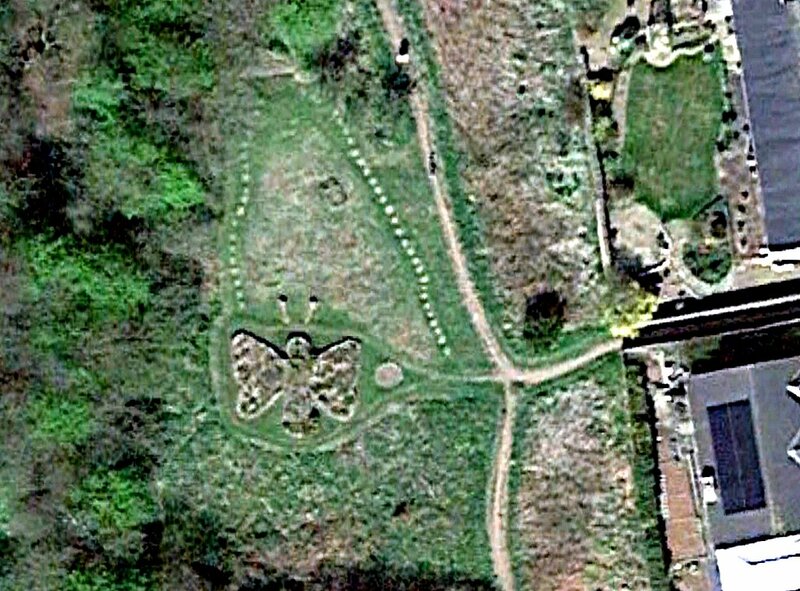 The butterfly can be seen from space (below). Millennium Butterfly Garden, Heddon Common. Photo A Curtis (2015). 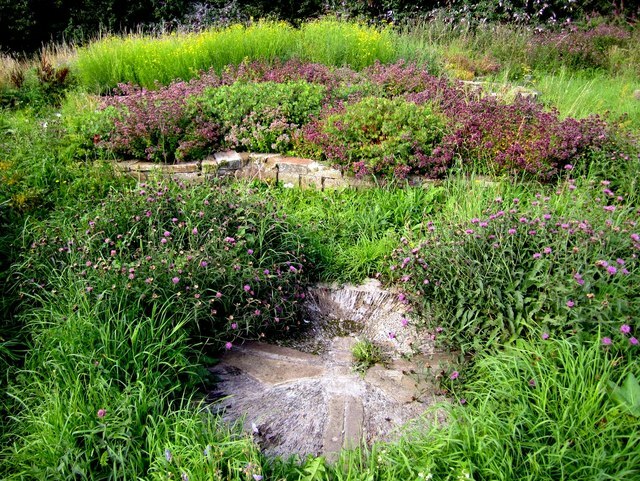 Heddon Common butterfly garden. Google Earth (2015 imagery). 'Mosaic dragonfly', Butterfly Garden, Heddon Common. Photo A Curtis (2015).